They are made of Courtron Polypropylene, for use on a covered porch, so they will stand up in the house really well. 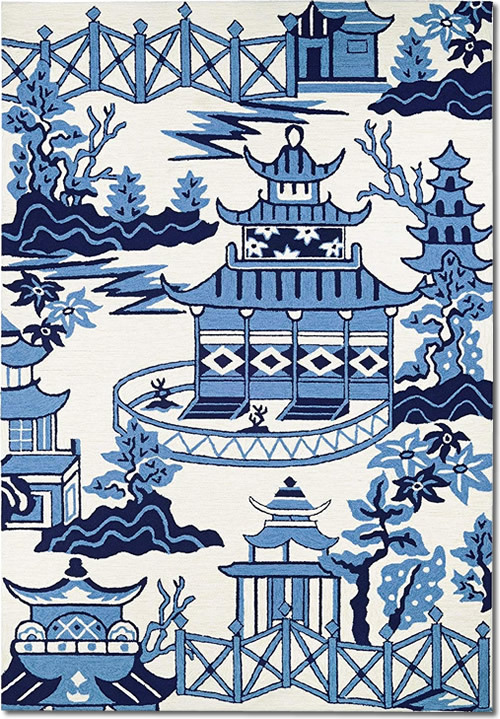 The rugs are hand-hooked in two shades of blue with off-white. There is no backing on the rug. The company recommends a non-skid pad. I put mine over some carpet padding. It makes it more cushioned and keeps it from skidding. The rectangular rugs come in four different sizes. 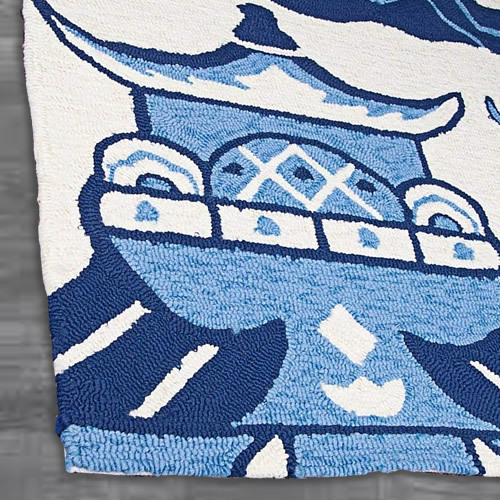 Accent your beautiful home decor with this hand-hooked Miami indoor/outdoor Rug. An ideal decorating choice for families with young children, or those who frequently entertain, they will retain their rich splendor and stand the test of time despite the wear and tear of heavy foot traffic, humidity conditions and various other elements. 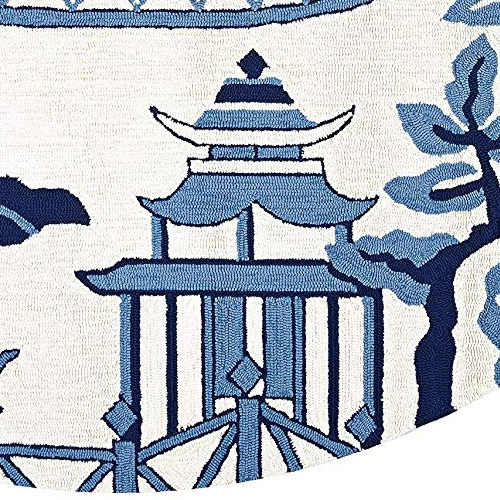 Because they are made of the finest 100-percent fiber-enhanced Courtron polypropylene, Miami area rugs are water resistant and can be used in a multitude of spaces, including covered outdoor patios, porches, mudrooms, kitchens, entryways and much, much more. 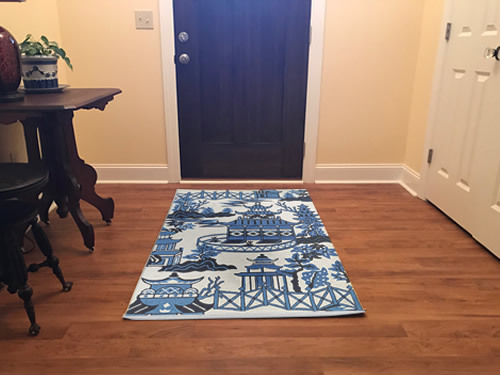 Treated to prevent the growth of mold and mildew, these multi-purpose area rugs are exceptionally easy to clean and are even pet-friendly. 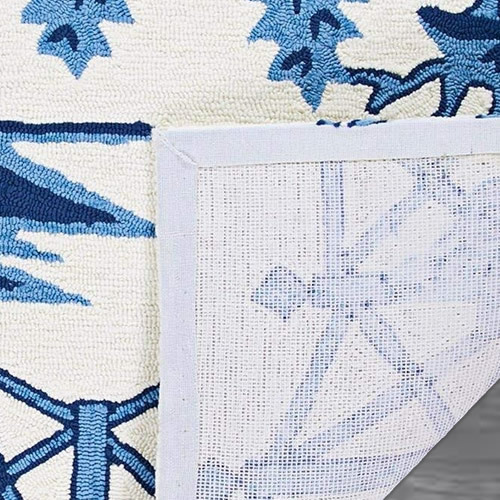 Featuring a unique hand-hooked construction, these beautifully detailed area rugs also have the distinctive aesthetic of an artisan-crafted product. There is also a round rug. 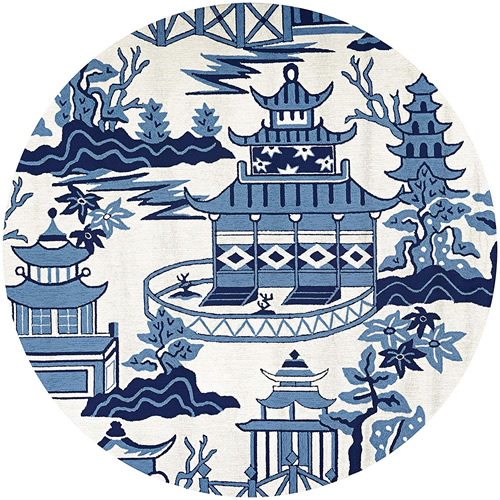 This entry was posted on January 19, 2019, in Blue and White, Oriental Style, Porch Living and tagged Blue and White. Bookmark the permalink.